Keystrokes, Camera and Voice Ports Data – Is Windows 10 Really a Free Upgrade? 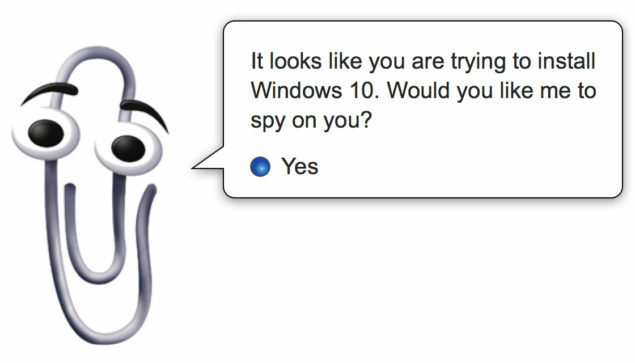 Are you still trying to stick to the optimistic side of the game waiting for Microsoft to somehow save its face when it comes to Windows 10 privacy concerns? Latest revelations might help you rethink the way you trust your Windows 10 powered machines. Windows 10 is becoming a major privacy disaster and latest revelations just take it up a notch higher, if that was a possibility. According to the latest discovery, Windows 10 is engaged in some dubious communications with Microsoft servers. We already knew that Windows 10 is committed to send some data even when you have disabled those settings, however, the OS is sending your private data without your consent and does that quite frequently too. You might believe you are making your life more private by disabling all the settings that are set to sending data to Microsoft by default. The truth seems to be otherwise. A Czech publication has revealed that disabling these settings is actually futile. This analyst claims to have analyzed data coming from Windows 10 computers and shares that the keyboard input is stored in temporary files. This data is then periodically sent to the Microsoft telemetry servers. It doesn’t seem to matter if you use a Microsoft account to log on to your computer or not, the operating system sends your data no matter what, including your passwords. The analyst found 35 MB of data being sent to the servers after the web camera was turned on for the first time after Windows 10 activation. It is further confirmed that the data from the voice port is indeed being transmitted even when Cortana is disabled. Over 80 MB of data is sent once every 15 minutes, when the computer is idle. Windows 10 will periodically send data to a Microsoft server named ssw.live.com. This server seems to be used for OneDrive and some other Microsoft services. Windows 10 seems to transmit information to the server even when OneDrive is disabled and logins are using a local account that isn’t connected to a Microsoft Account. The exact nature of the information being sent isn’t clear—it appears to be referencing telemetry settings—and again, it’s not clear why any data is being sent at all. We configured our test virtual machine to use an HTTP and HTTPS proxy (both as a user-level proxy and a system-wide proxy) so that we could more easily monitor its traffic, but Windows 10 seems to make requests to a content delivery network that bypass the proxy. Microsoft is yet to explain whatever has been discovered since the past two weeks. For now, seems like privacy is topping the chart of the issues that Windows 10 is facing. But that’s not a first, we have already seen tech giants like Google and Apple hunting for more and more data. Let’s see where Microsoft draws a line, if it does decide to draw the limits somewhere.